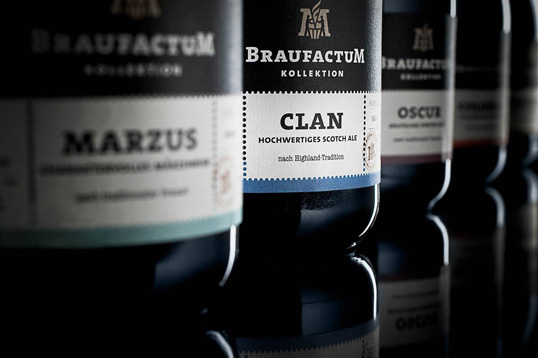 “The best of imported beers and high class self-made creations – that is what Braufactum is all about. 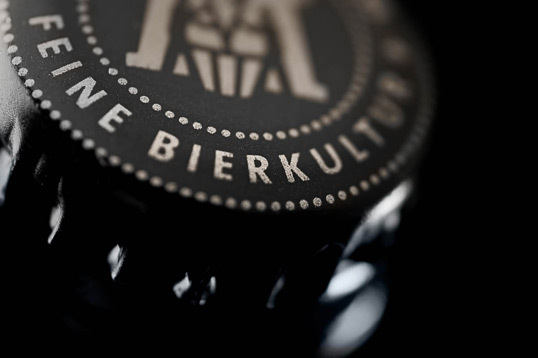 The new gourmet label of the Oetker group introduces a unique collection that will establish a new style of brewing culture. 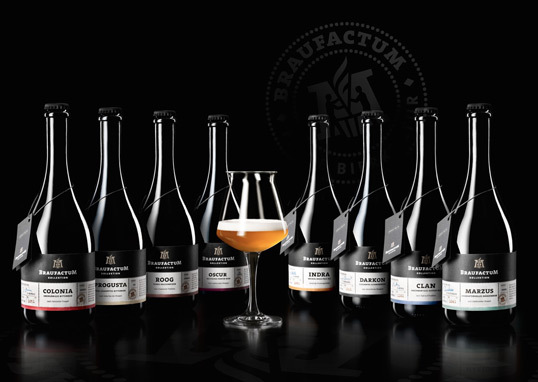 Everything presented under the sign of Braufactum includes selected flavours, celebrates different perceptions of savour and turns every beer lunatic into a gourmet. 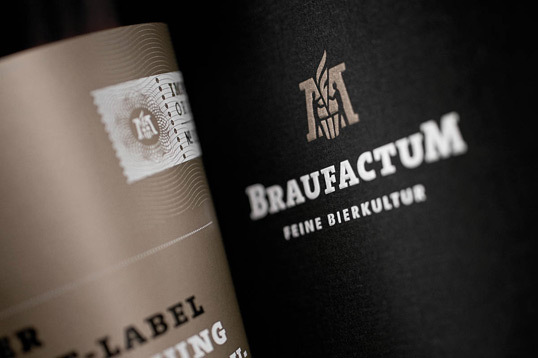 The appearance of Braufactum has been developed by Flächenbrand and represents its unique concept in every detail. Quite obviously, as the young Wiesbaden-based team has accompanied and built this brand right from the start. 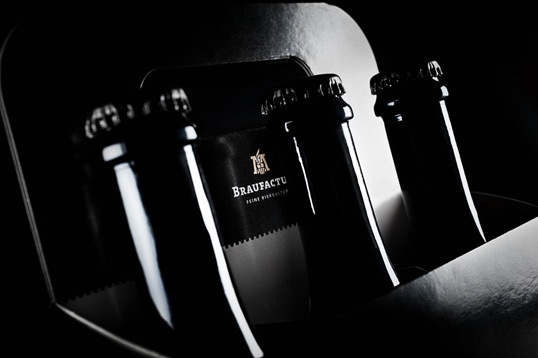 Together with Radeberger’s department of innovation, Flächenbrand developed the first basic principles for Braufactum. After weeks of close cooperation, the idea turned into the final concept. Thus, the project was far more than an exciting design assignment since the agency was involved from the first idea and therefore predestined to develop it further in brand communication. 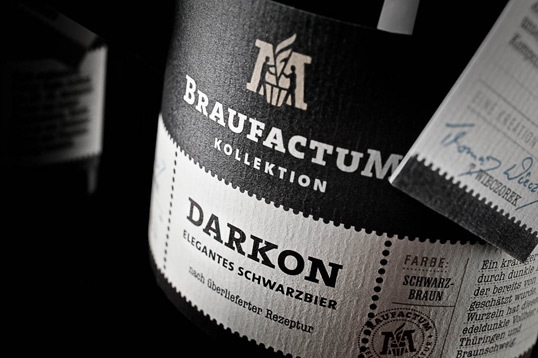 With success: the design of Braufactum is as good as the compiled idea. 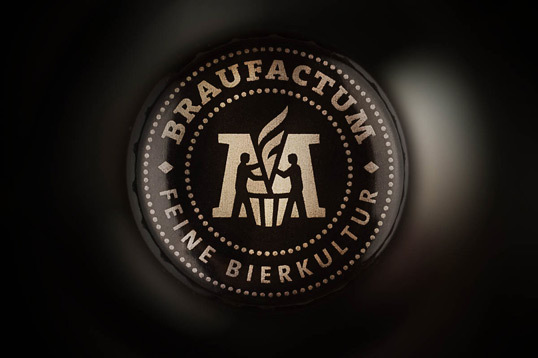 It is necessary to know the story behind Braufactum in order to understand what makes it so unique. 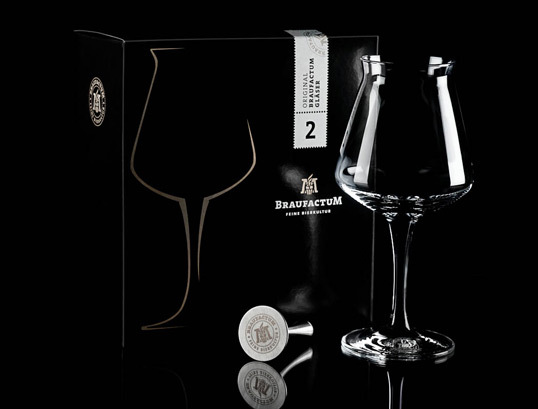 Being the daughter of the international Brau-Manufacturen, it is the brand’s mission to offer maximum beer indulgence. Though not in a classical industrial style, one way to achieve this goal is through imports. 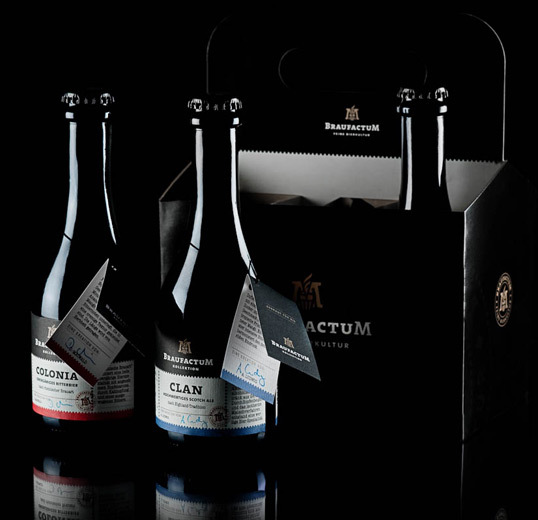 The international beers that are part of the Braufactum collection are manufactured in small breweries by passionate master brewers and in a limited edition. Furthermore, you may find impressive self-made creations that promise a novel experience in taste. 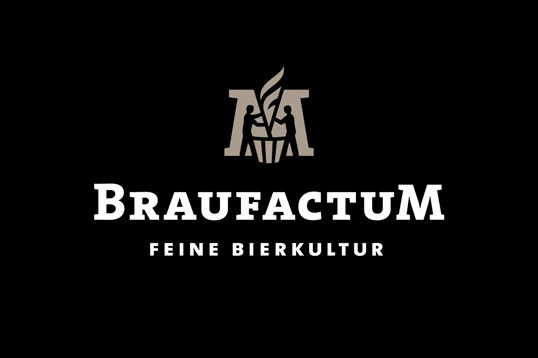 From a raspberry flavoured aperitif to the adequate beer for your meat or the appropriate companion for dessert that sprays a subtle scent of tobacco: This is exactly what Braufactum’s mission is all about: to establish a novel culture of beer – quite analogous to the history of coffee. Whereas in former times one usually went to a café for pie and cake while filter coffee was the side dish, we nowadays consume the finest beans and selected coffees. Why should this progress not be fulfilled with beer? Before marketing this in the United States, it would have been a fine idea to research the universal American reaction to the word “Clan”. Very, very bad choice! Great design, however, for what it’s worth. http://www.otromundo.com/ maybe just coincidence, who knows.. I work in the beer industry and as far as I know this product isn’t distributed in the U.S. Plus Clan is certainly different than Klan.